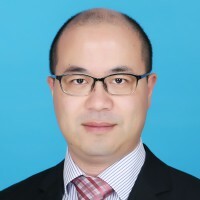 Zhengwei Mao is an Associate Professor in the Department of Polymer Science and Engineering at Zhejiang University since 2010. He received a Ph.D. at Zhejiang University in the field of Materials Science and had a postdoc experience at Max Planck Institute of Colloids and interfaces, Germany. Dr. Mao’s research is focused on polymeric biomaterials, and seeks to control microstructure of materials for the purpose to manipulating the responses of cells and tissues, with the application for cancer therapy and tissue regeneration. Dr. Mao has published more than 100 papers in scientific journals including Nat. Comm., J. Am. Chem. Soc., Biomaterials, Acta Biomaterilia and so on. His research has received international attention and “young investigator award” from Chinese Association of Biomaterials.